About 3 minutes and 37 seconds reading time for this 732 word page. Working with your Homeowner Responsibility is not easy. You have to either have the cash in hand so you can return the money they claim is DOB or you must add additional repairs to eliminate the amount owed in the Homeowner Responsibility field. Working with your Homeowner Responsibility. This is based on economical building materials and standard building practices following insurance guidelines and Xactimate pricing. If you are willing to do the research and find the materials to bring up the percentage of repairs to eliminate your "Homeowner Responsibility" amount, then let's get started. I thought I could have a Not for Profit come in and help. But little did I know Restore LA wants to know about the church that installed drywall for free on Ms. Smith's home. We didn't notice the Restore LA "Recapture" page 36 Section G of the Homeowners Manual v3. When "... an applicant does not report the receipt of additional insurance, SBA, FEMA, non-profit assistance and/or any other duplication of benefits received after award" it will be calculated as DOB. That means you can't get free materials or free labor from a Non-Profit group or Restore LA may attempt to "Recapture" DOB from you. Your options are limited. Contractor or Homeowner Contractor. Who do you trust more to get your homeowner responsibility needs met? It's time to bring your Scope of Work (SOW) into focus. Your Account manager or technical adviser should have this from their inspectors. 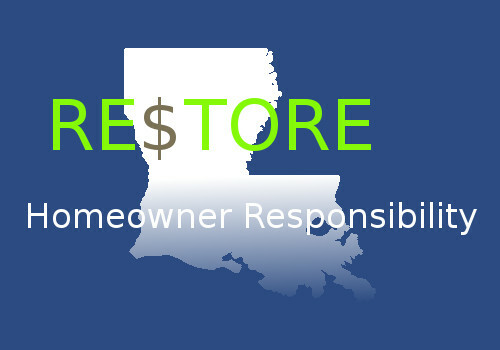 As homeowner contractor Restore LA will offer you assistance and identify every item that needs to be completed to reach your "Zero" Homeowner Responsibility cash amount. 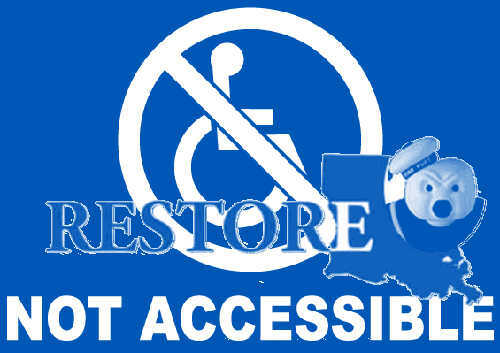 You have to: "Bring your home to the percentage of completion that Restore LA requires so they will release additional grant money." 1. Act as your own contractor, purchase material, hire labor if needed. 1. Put your home in jeopardy by not having enough funds available to complete the project when working with a licensed state contractor. A contractor can place a lean on your home if your grant money falls short or you do not pay your contractor. Because of state licensing rules for homeowner contractors and contractors, you can not have volunteers work on your home. They must be paid employees or paid sub-contractors. You can hire labor workers and pay any wage you both agree upon. Example: I agreed to $1.26 per labor hour plus lunches. The important rule to remember, people that are not directly family and living under the same roof can not work or offer free services or volunteer services. They have to be paid by the homeowner contractor. Material: you will need material. You are looking to finish your home to eliminate the "Homeowner Responsibility" not just reduce it. You don't want to be forging invoices claiming you spent the money. Restore LA works on different standards of building quality that may not match your invoices. You have to find materials at a price you can afford. You'll need to budget your household to purchase materials so you can reduce your Homeowners Responsibility to zero, thus freeing up additional grant monies. I do believe some are thinking about a state promissory note similar to the N.J. State Bonds they issued to buy out homeowners. I hope to have a draft ready to go soon. It will be a promise to pay your Homeowner Responsibility over a 3 year period starting one year after you receive your HUD funds. A. Promissory note for total amount of Homeowners Responsibility. B. CDBG-DR funds and contract are creating. C. Total amount of funds are offered. 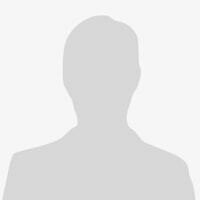 D. Collection on Promissory note enacted at time of close. E. Remaining amount after promissory note covering homeowner responsibility is remaining grant. It's not perfect, but basically I'm seeing some talk in other disaster zones offering a 3 year term which is the time the CDGB-DR will monitor any DOB or additional money you receive, they would in fact know at the time of signing you are over paid and can then call the promissory note in as due at that time and can be deducted from your new grant award. It's the same as subtracting from the grant but the State of Louisiana is so set on collecting money from Low Income and Moderate Income people they miss the point of HUD.